I have a barn door vase which we like (CHET Exhib). Saw your large lamp base at the Church Art Exhibition Southport 28 July. This brought me to your well presented website. 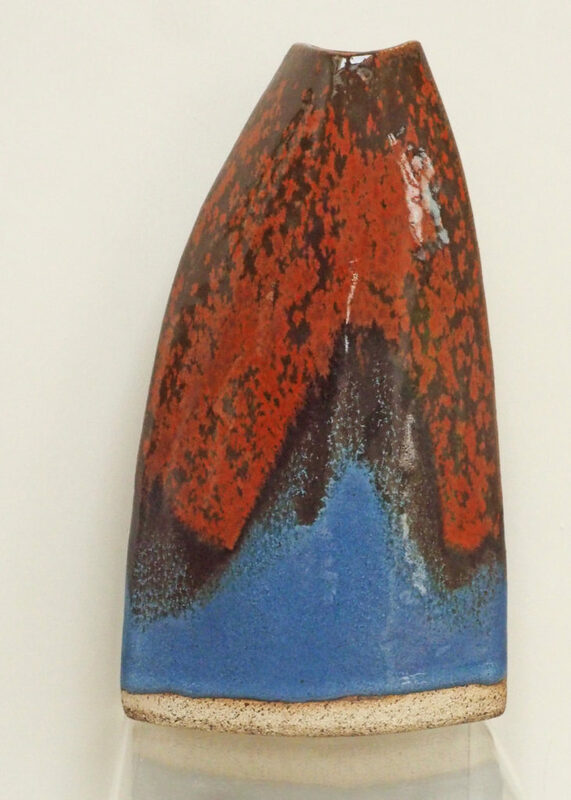 Tall vase in red @ blue glazes. What is the height and width of top opening? Can it hold water for live flowers? This vase has gone I’m afraid, it was given as the prize in the patrons raffle at The Southport Palette Club preview on Friday evening! Thanks for you interest in my work.